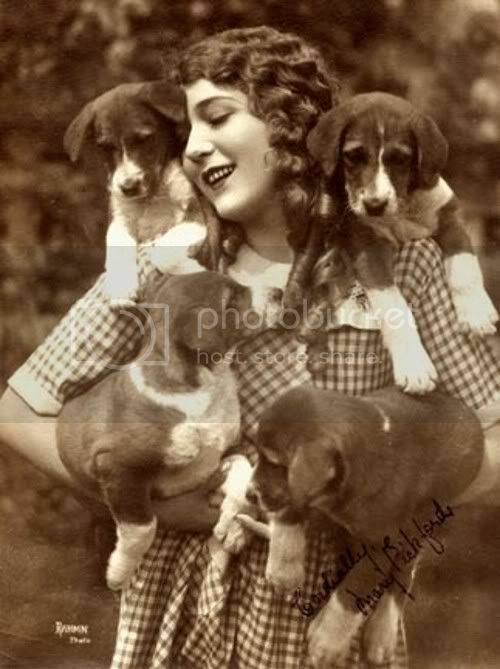 Mary Pickford was born Gladys Marie Smith in Toronto. Her father was an alcoholic and abandoned the family when she was three years old. Her mother worked as a seamstress and opened her home as a boarding house to support herself and her children. Mary gained her first theater connection at the age of seven, through one of the boarders staying in her home. She was a natural on the stage and began touring the United States with her mother and siblings as she performed in plays. 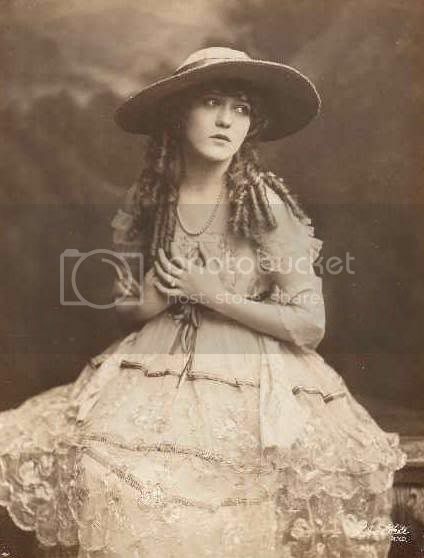 In 1907, she finally got her break on Broadway in the play, The Warrens of Virginia. The play's producer had her change her name from Gladys Smith to Mary Pickford. Two years later, she screen tested for a film with The Biograph Company and although she didn't get the role, the director adored her and was eager to hire her for other projects. She worked with Biograph, playing in 51 films in 1909. She said "I played scrubwomen and secretaries and women of all nationalities... I decided that if I could get into as many pictures as possible, I'd become known, and there would be a demand for my work." and she was right! Biograph soon featured her on advertisements as "The Girl with the Golden Curls" or "Blondilocks". Finally she was noticed my moviegoers and became the most popular actress in the country. 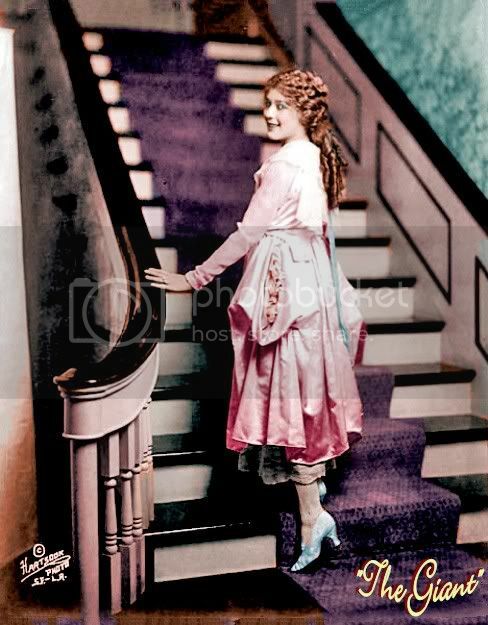 Mary Pickford has the starring role in 52 movies and was the highest paid actor of her day at the rate of $500 per week. Through her contract terms, she had full control over the production of her films. At the height of her career, the invention of "the talkies" threatened to destroy her and all of Hollywood. She once said "adding sound to movies would be like putting lipstick on the Venus de Milo". in the 1920's, she was getting older and realized that she couldn't play girlish roles anymore. In an attempt to survive, she cut her hair to a modern bob and tried to play more serious roles. Her hair cut made front page news but audiences did not respond well to her change. 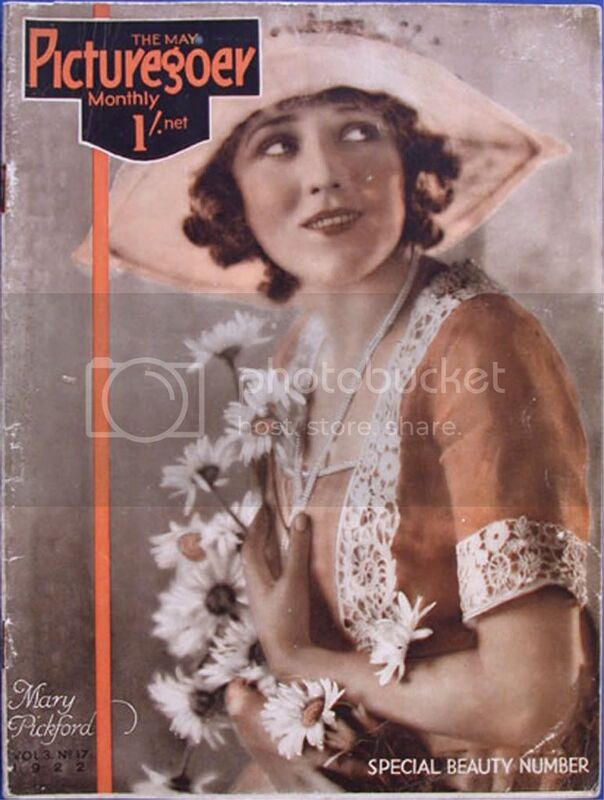 She retired from the screen in 1933 and continued to produce films. She co-founded United Artists and created Motion Picture Relief Fund to aid impovershed studio workers and actors. She was the most powerful woman in Hollywood and when she retired in 1956, she sold her share of United Artists for three million dollars. 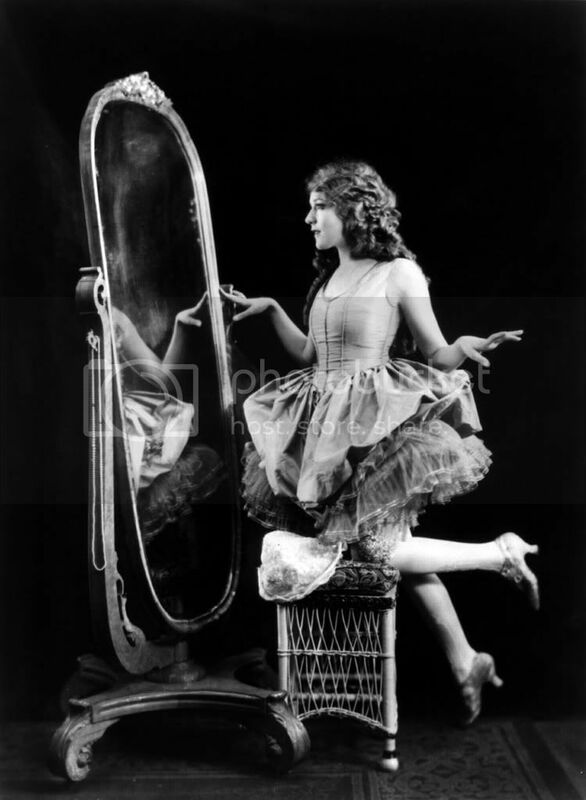 Mary Pickford was best known for her long golden curls and sweet little girl looks. She wore lace, ruffles, pastels and flowing styles of turn-of-the-century fashions. In some of her most iconic images, she wears huge straw hats embellished with ribbons and flowers. While Mary's fashions are too cute for most ladies, adding sweet details here and there is a sure way to take on some of that coquettish classic style. 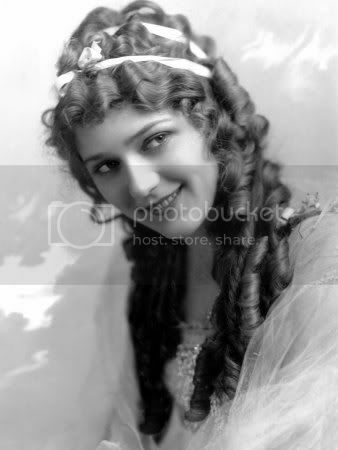 As someone born with hair so straight it could stand in a flag pole, I've been enamored with Mary Pickford's curls since I was a little girl. As I grew older, many other elements of this talented actresses appearance started to appeal to me, too, and to this day, I still think she remains one of the moth vibrantly lovely, charismatic women of her day. 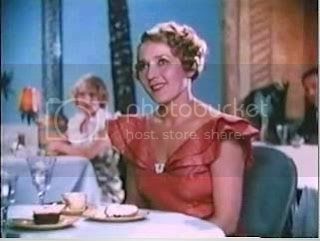 Thank you sweetly for your comment on Wednesdays' vintage orange muffin recipe post. I really hope you and your family enjoy these muffins if you give them a spin (too cute, BTW, about what your daughter calls raisins - so precious!). Great bio! I love hearing about these classic stars! Ooh, she is darling. I would love to incorporate some her styling into my wardrobe. What great info on her. I haven't ever read up on her! Sounds like it'd be fun to do! Great photos, she is beautiful! And her and Douglas Fairbanks were one of the most celebrated couples. Loved to have been at one of their many parties and hollywood get togethers. wonderful post - love the pickford pictures - thanks for sharing. Wonderful post. Fabulous always Mary. I have always adored her and she seems to have been such a sweet person! I love Pickford's hairstyle... I was once thinking of trying to get a perm done in that style -- but these days it seems no one knows how to perm long hair!